After I finished my first Camino, I came home confused. I really didn’t know why I’d put myself through so much pain. And so I wrote a book to try and make sense of it all, and really to complete the walk. Here’s a link to it on Amazon – THE WAY, MY WAY. 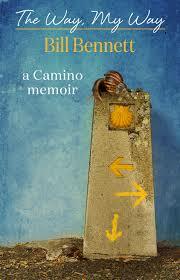 The book has become a best seller for the Camino crowd. It now has nearly 250 five-star reviews. I’ve also written a book on my intuition film, called PGS – Intuition is your Personal Guidance System. The film has been described by intuitive legend Caroline Myss as “truly superb.” The book expands on the film – and shows how you can use your intuition to make better decisions and find your true purpose in life.